London has overwhelmingly chosen Labour’s Sadiq Khan to be the capital’s new mayor. Voters across London went to the polls last Thursday to give Sadiq a landslide victory that puts him in charge at City Hall for the next four years. 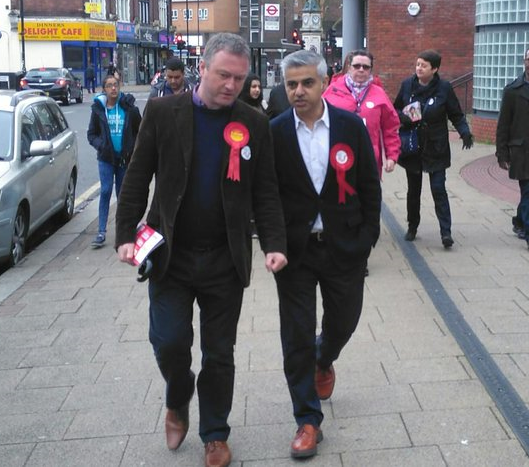 Sadiq visited Croydon frequently during the campaign. Sadiq has pledged to be a mayor for all Londoners, and his top priority will be fixing the capital’s housing crisis. Too many people are unable to afford soaring rents, and home ownership has become an impossible dream for many young people as house prices for first-time buyers have rocketed sky high. London’s new mayor has pledged to build at least 80,000 new homes a year, increase the number of homes that are affordable, and sent up a London-wide lettings agency to promote longer-term secure tenancies and help tenants find good landlords. Sadiq has also committed to improving safety in London and freeze fares on London’s buses, tubes and trains after they soared to record levels under the Tories. The defeated Tory candidate has been widely criticised for running a divisive campaign that tried to set different ethnic groups against each other. His campaign was strongly supported by Croydon Central’s Tory MP Gavin Barwell despite the threat it posed to good community relations in our borough.